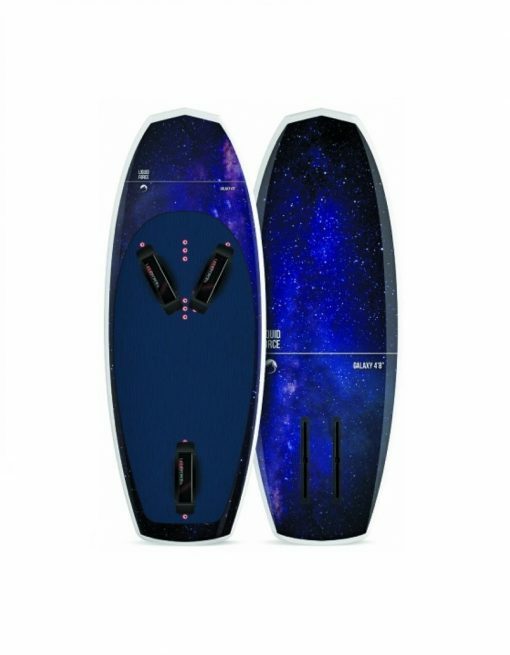 Variations Foil, Size4'8" Foil, Size4'2"
The feel good” concave deck affords the rider detailed control via the ability to translate foil feedback more rapidly and precisely. Rider adjustability and set up preference is important to us. 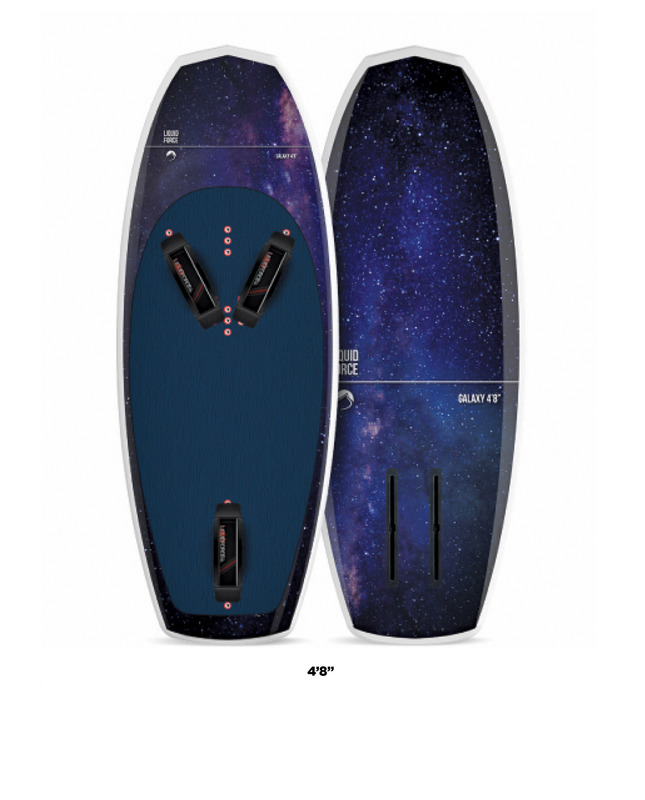 The Galaxy affords this with the use of a track mounting system for dialing in the placement of the foil, a full coverage comfort EVA deck pad complete with kick tail for the strapless rider, and performance tuned insert configuration options for; single strap, inline double straps, or triple strap configurations. All this in a unique molded lightweight and durable honeycomb carbon construction that is proprietary to Liquid Force.